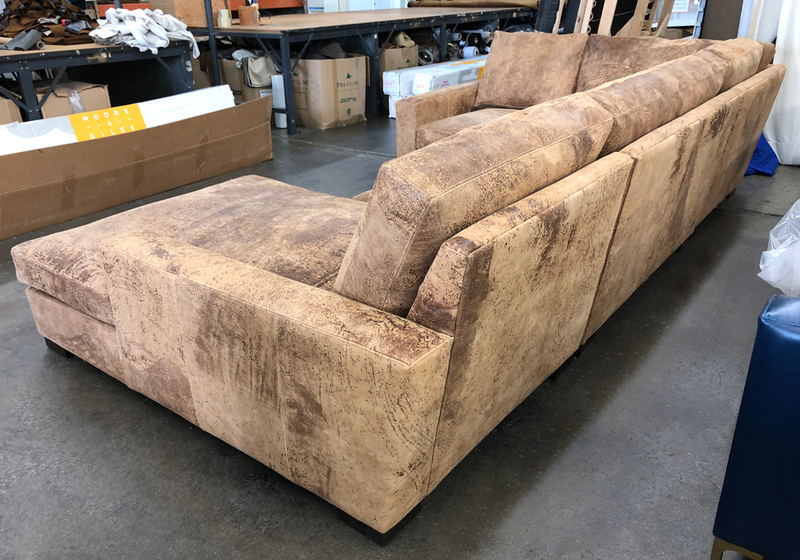 Customers love our Arizona, and it’s easy to see why. 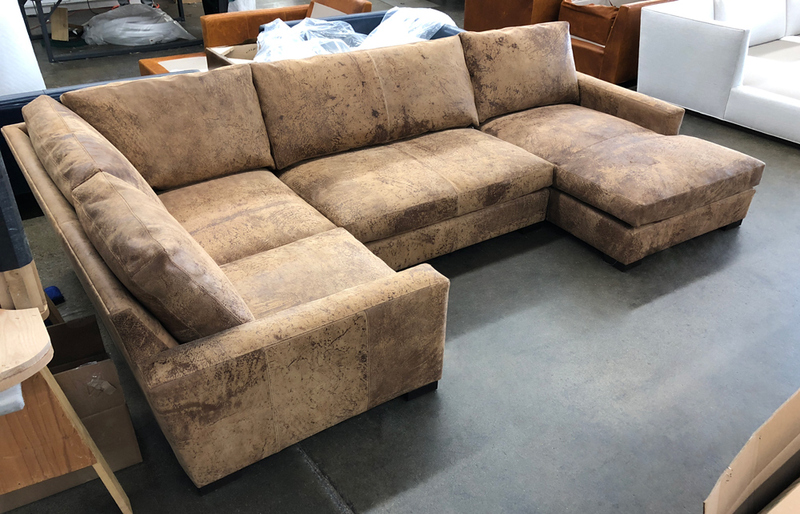 All of the same great specs we use in all of our furniture, but the Arizona features tufted seat cushions. 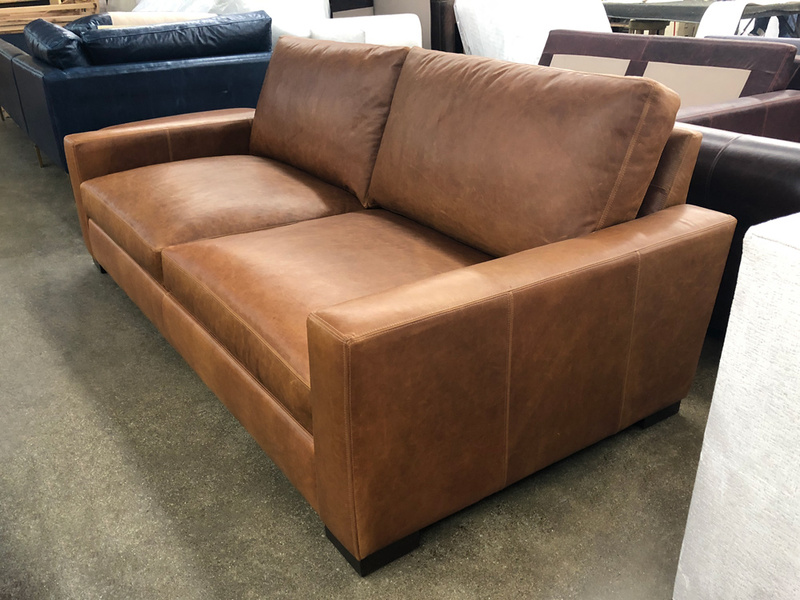 The tufting makes the seats just a bit firmer than our non-tufted models, but the Arizona still has loads of feather and down comfort in both the seats and backs. 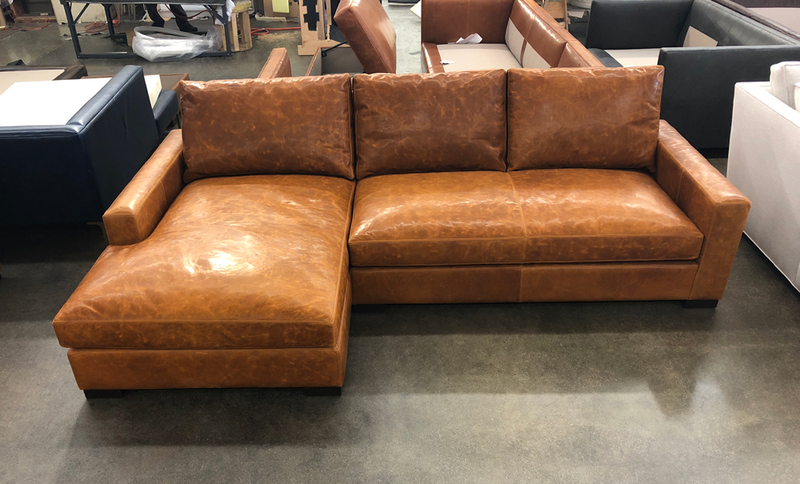 The cover chosen by this customer was Italian Berkshire Cocoa Leather. 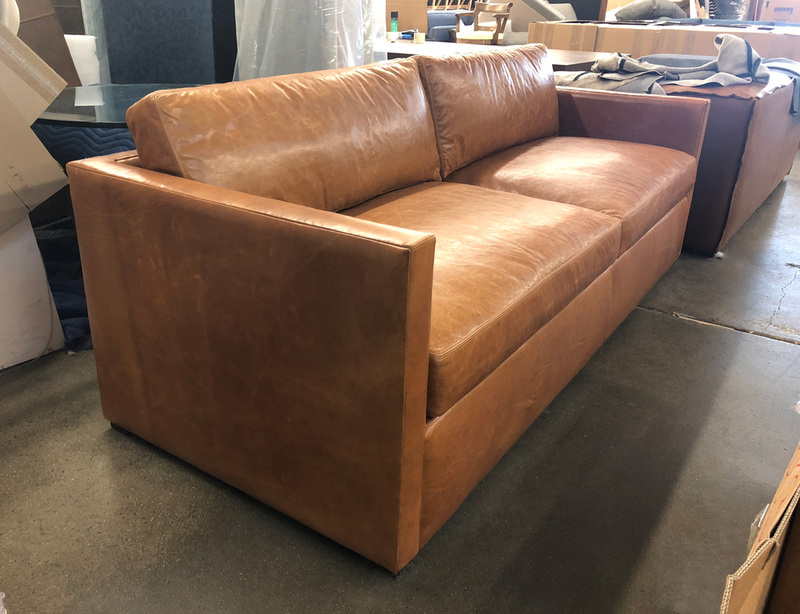 This leather is just like our Italian Brompton Cocoa (made in the same Italian tannery, using the same hides), but without the extra step of wax impregnation that makes Brompton shiny. 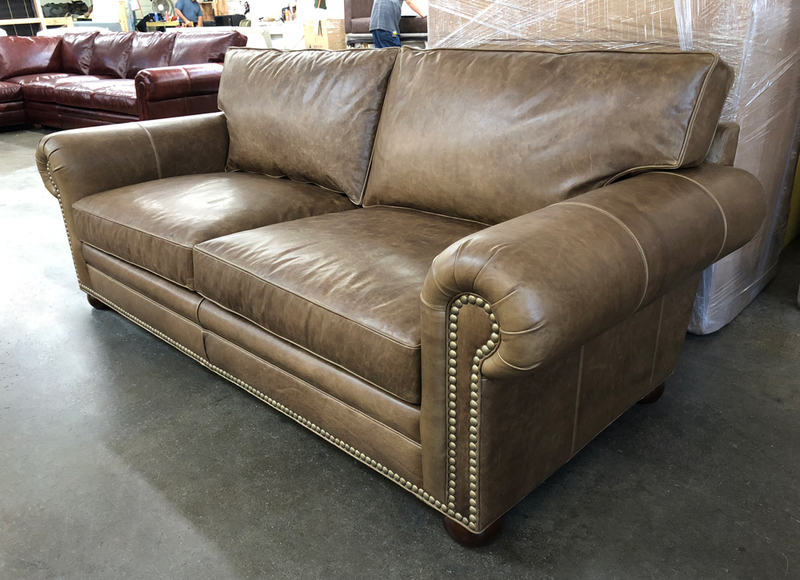 Berkshire has a more matte finish, and as it scratches, distresses, and burnishes it will develop loads of character over time. 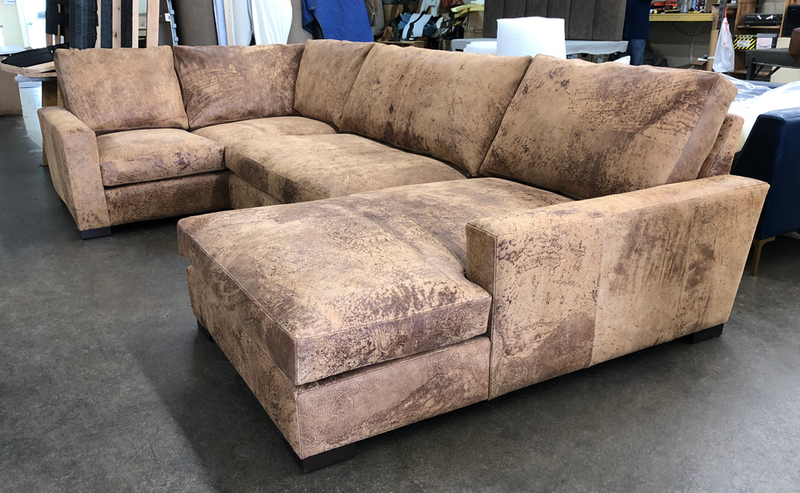 Natural markings, scars and color variation are all a very real, natural characteristic of these full grain (un-corrected) leather hides. 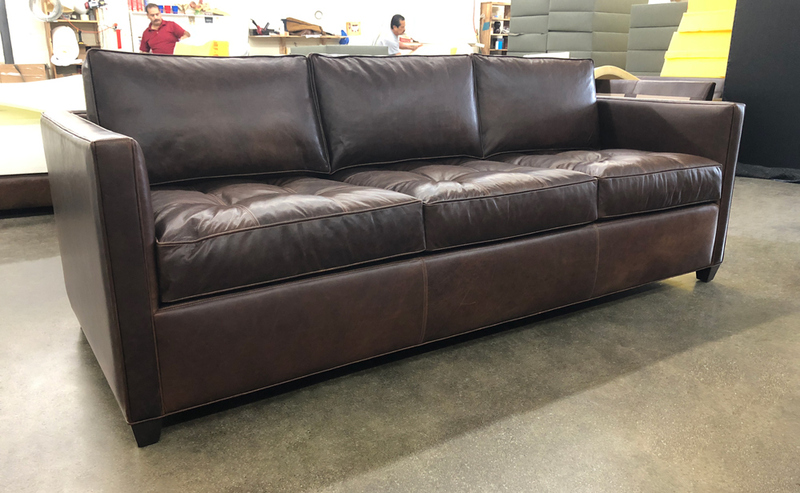 This entry was posted in Arizona, Custom Leather Order Feed and tagged 39" Deep, aniline dyed, Arizona Leather Collection, Arizona Leather Sofa, Berkshire Cocoa, full aniline, full grain leather, Italian Berkshire Cocoa, Italian Berkshire Leather, tufted on July 6, 2018 by LeatherGroups. 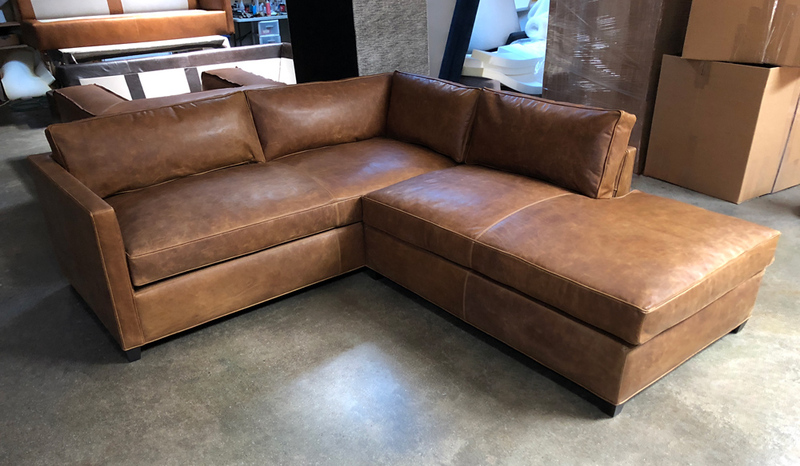 This entry was posted in LeatherGroups.com Reviews & Testimonials on June 28, 2018 by LeatherGroups. Just delivered to Menominee , MI! 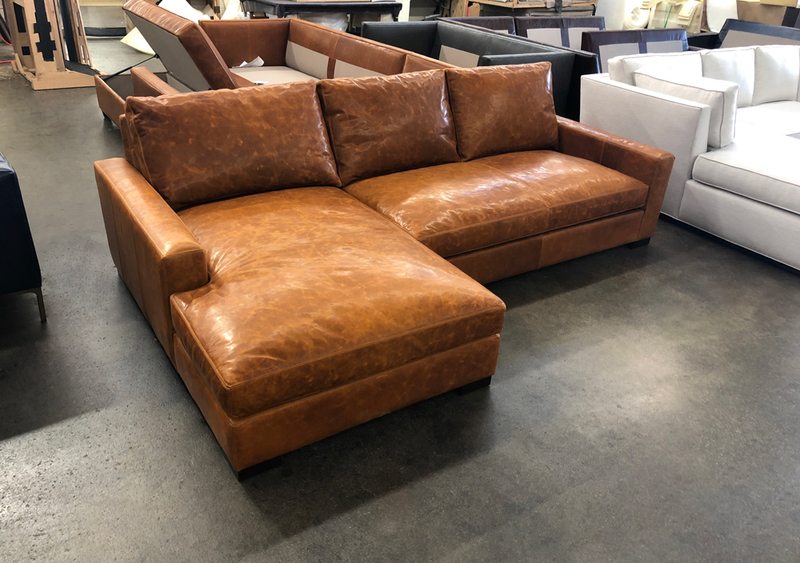 This Julien Slope Arm Leather Sofa is impressive at 120 inches long and 42 inches in overall depth. 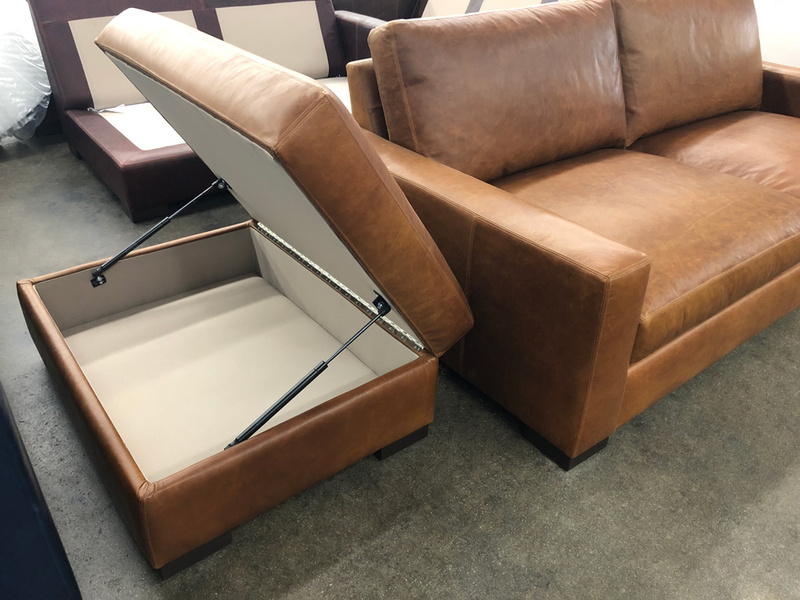 Adding to the sense of scale is the single, long bench seat with 2 corresponding back cushions. 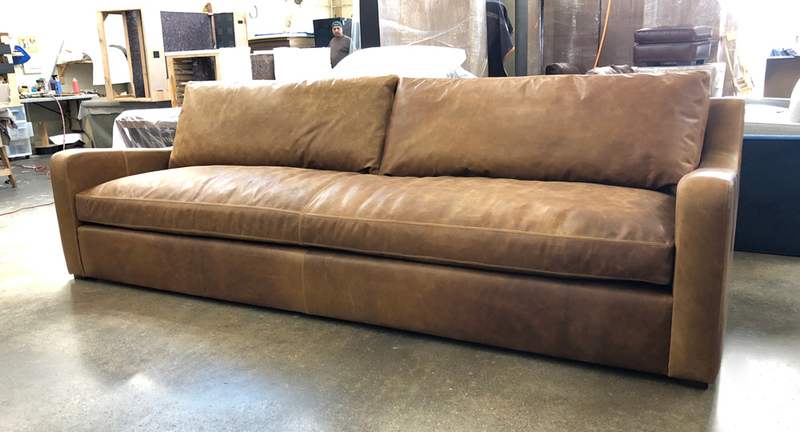 Italian Brentwood Leather is a Full Grain, Full Aniline, Oiled Pull-up leather. 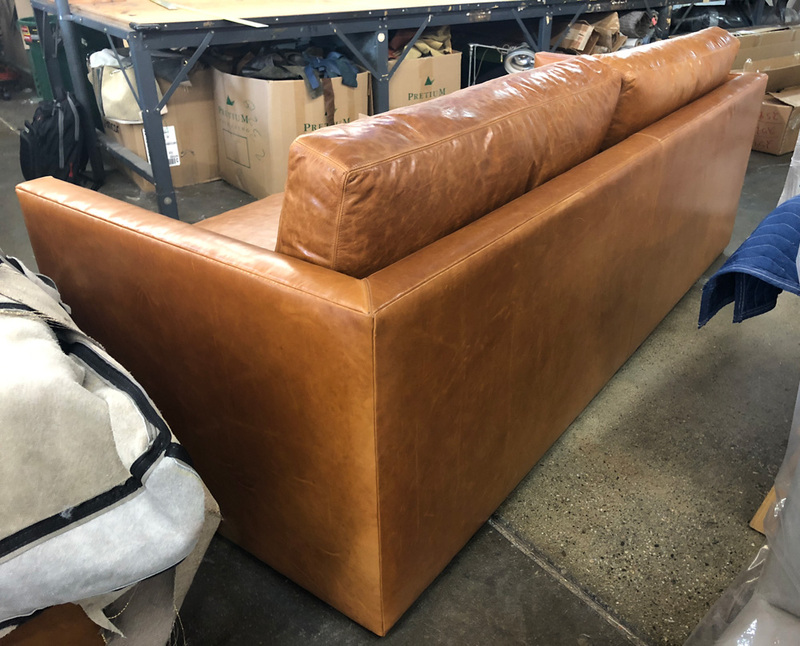 Full Grain means it has not been corrected (scars have not been sanded, buffed, filled and covered up) and the leather exhibits natural markings and characteristics of the hides. 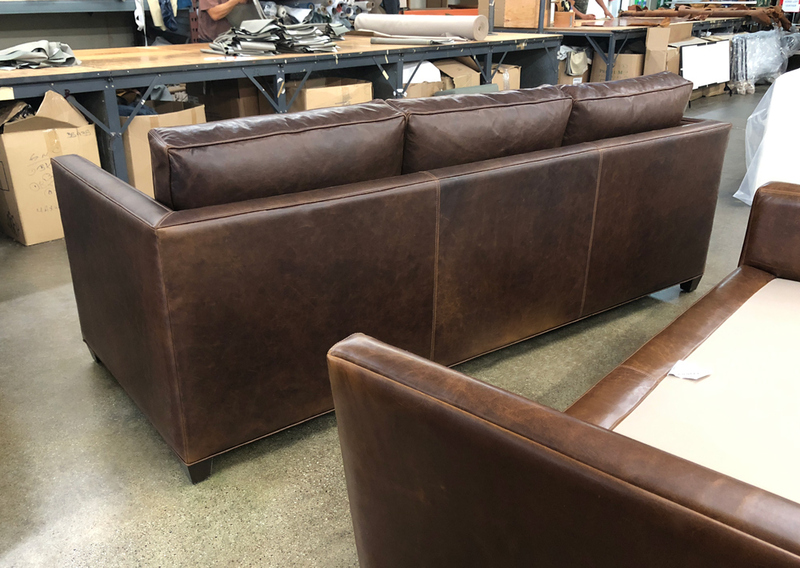 Full Aniline means it is dyed all the way through, and Oiled pull-up means the hides have been impregnated with oils. These oils act as this leather’s barrier against the world, resisting moisture and keeping the leather both supple and strong. 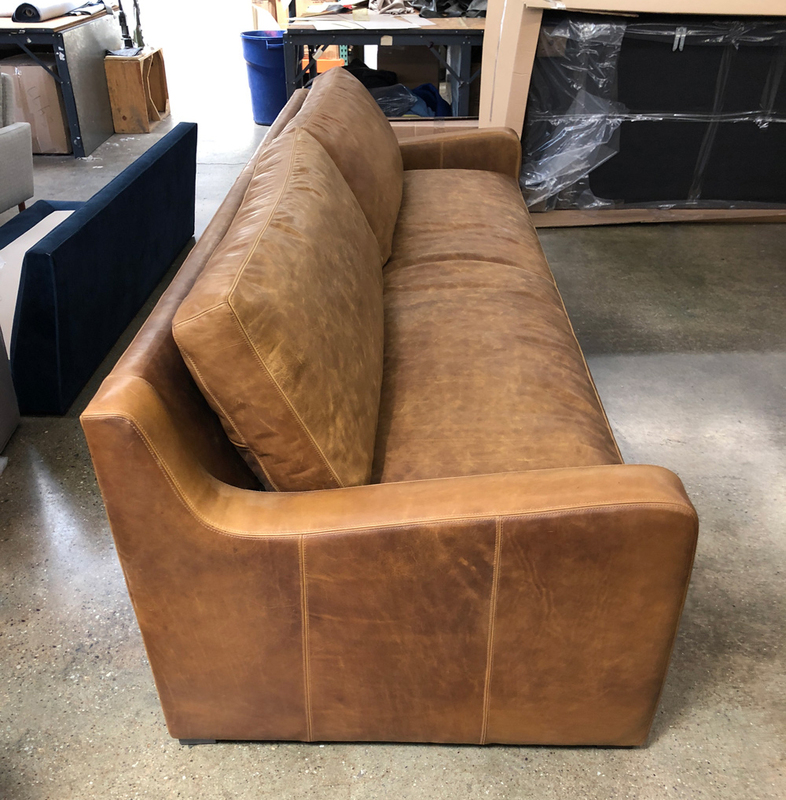 This leather will scratch and mark and just get better as you beat it up, burnishing and developing a beautiful vintage patina over time! 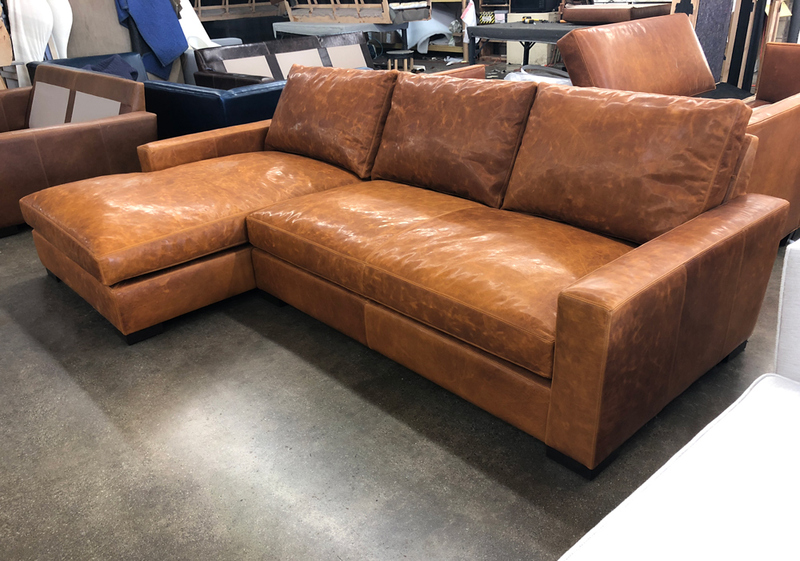 This entry was posted in Custom Leather Order Feed, Julien and tagged 42" Deep, Belgian Slope Arm Sofa, Bench Cushion, Brentwood Tan, full aniline, full grain leather, Italian Brentwood Leather, Italian Brentwood Tan Leather, Julien Leather Collection, Julien Leather Sofa, Julien Slope Arm Leather Sofa on June 21, 2018 by LeatherGroups. 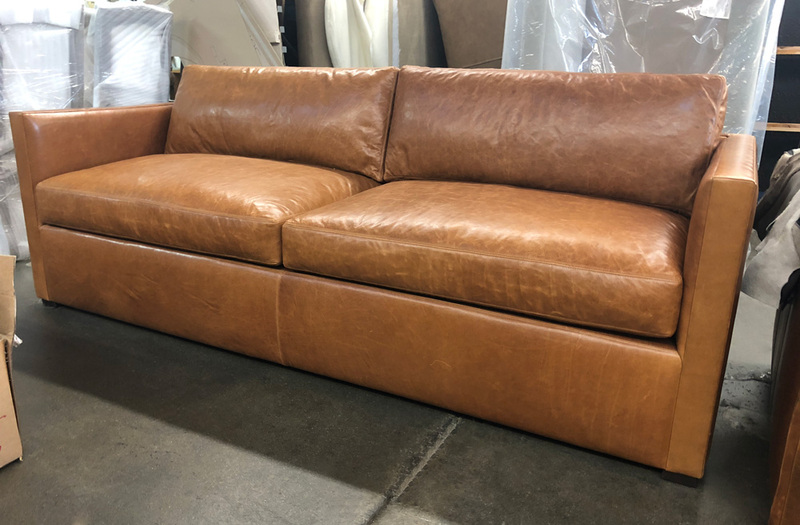 Welcome the Oscar Leather Sofa, a new collection we’re launching soon that is based on our popular Arizona Leather Collection. 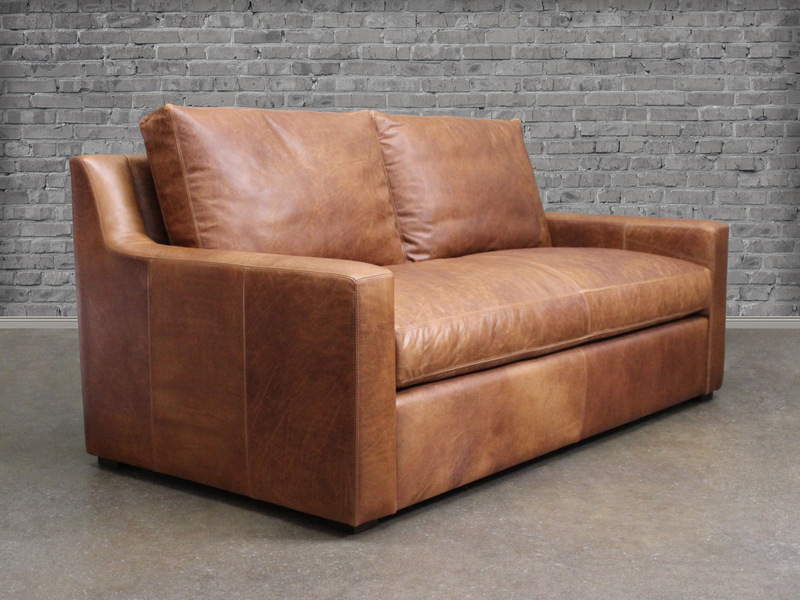 Shown here in Italian Glove Chestnut, a Full Grain, Full Aniline Leather. Keep checking back for the launch of this new style on our website, or email us here if you’d like to order one now! 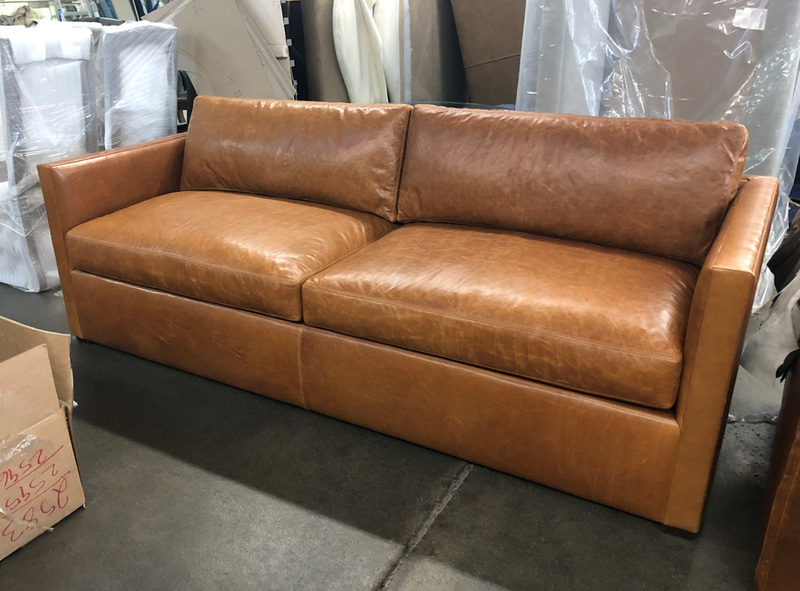 This entry was posted in Custom Leather Order Feed, Oscar and tagged 39" Deep, aniline dyed, full aniline, full grain leather, Glove Chestnut, Italian Glove Chestnut, Italian Glove Leather, Oscar Leather Collection, Oscar Leather Sofa, pure aniline on June 20, 2018 by LeatherGroups. 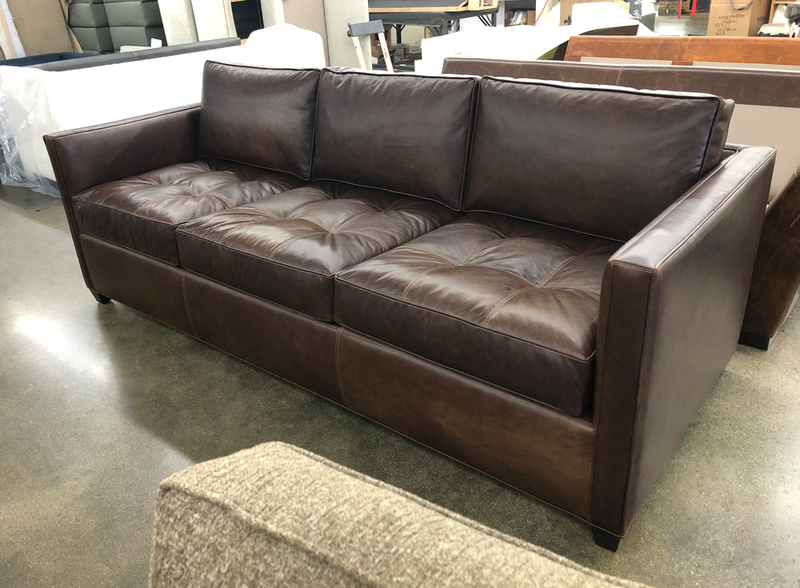 A Langston Leather Sofa with custom options, recently delivered to Newport News, NY! 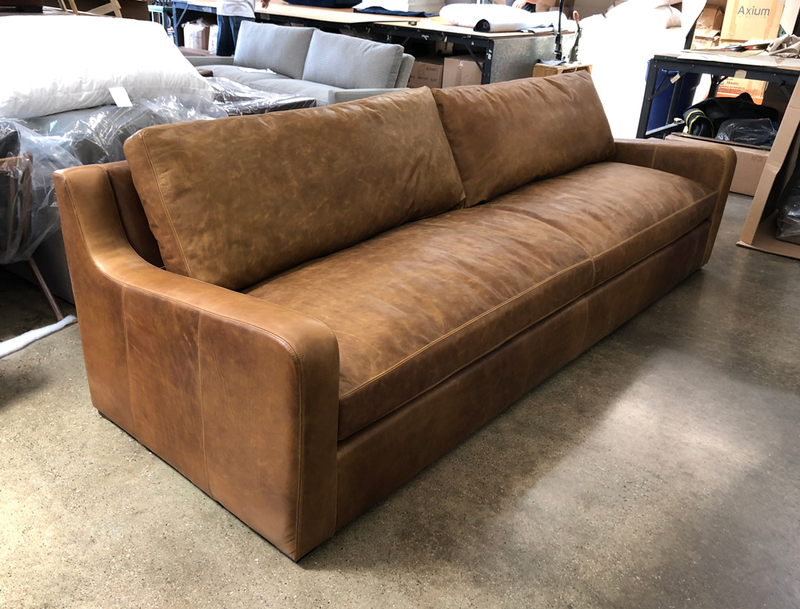 This customer added 4″ to our 84″ Langston Sofa for a custom length of 88″ and added 19mm French Natural Nail Heads, placed according to this customer’s preference. 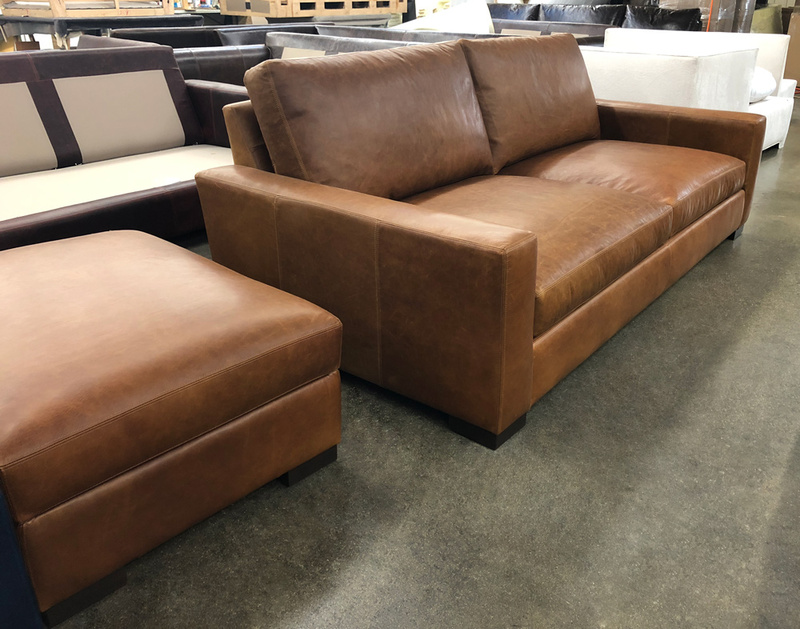 The leather is Italian Berkshire Burlap, a beautiful Full Grain, Full Aniline, Oiled Pull-up leather that breaks in nicely with our Feather & Down Seats and Back Cushions. 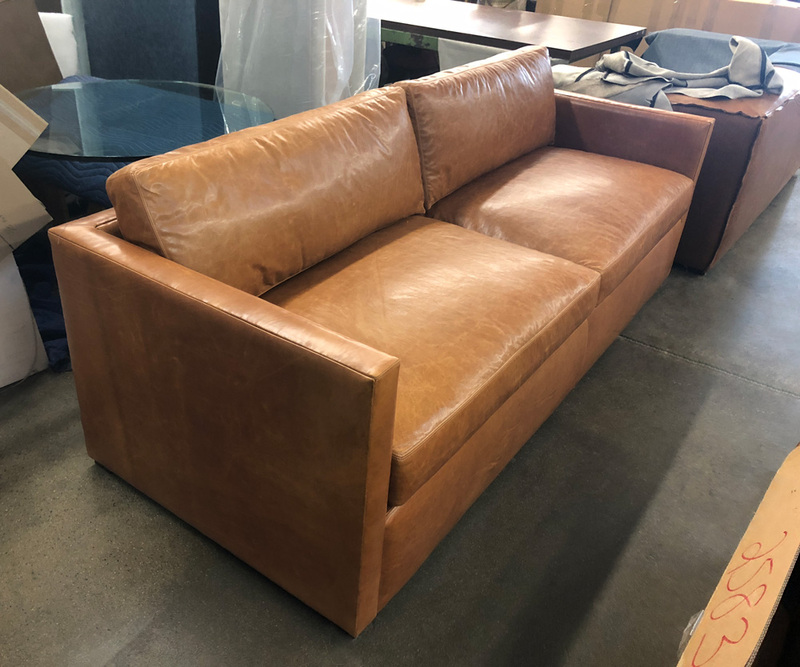 We know this customer will be enjoying this leather sofa for some time to come! 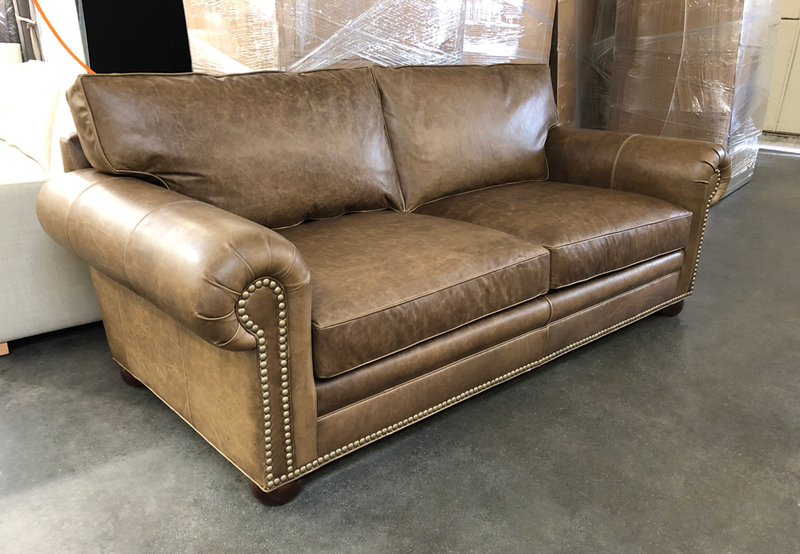 This entry was posted in Custom Leather Order Feed, Langston and tagged 43" Deep, Berkshire Burlap, custom length, Italian Berkshire Burlap, Italian Berkshire Leather, langston collection, langston leather sofa, Nail Head Trim on June 19, 2018 by LeatherGroups. 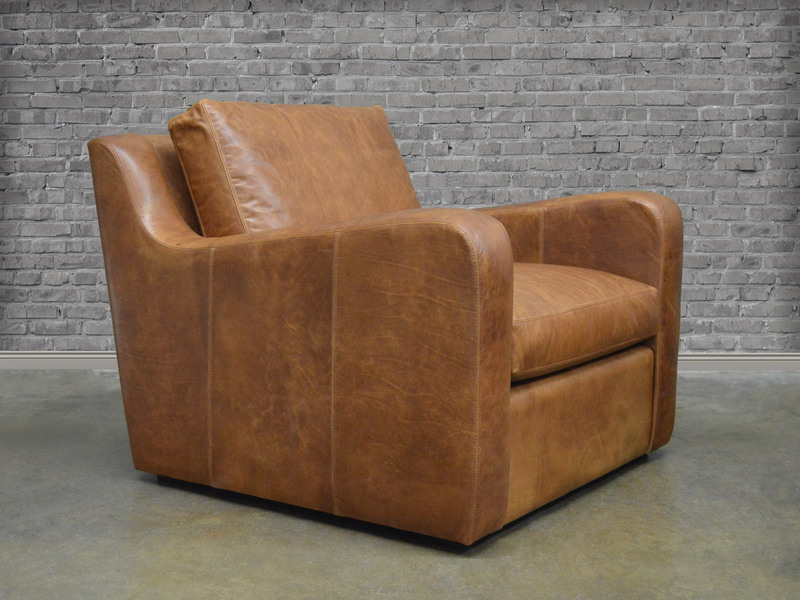 This Special Order Braxton shipped out to Illinois dressed in Italian Destroyed Leather (Ragtime Natural). 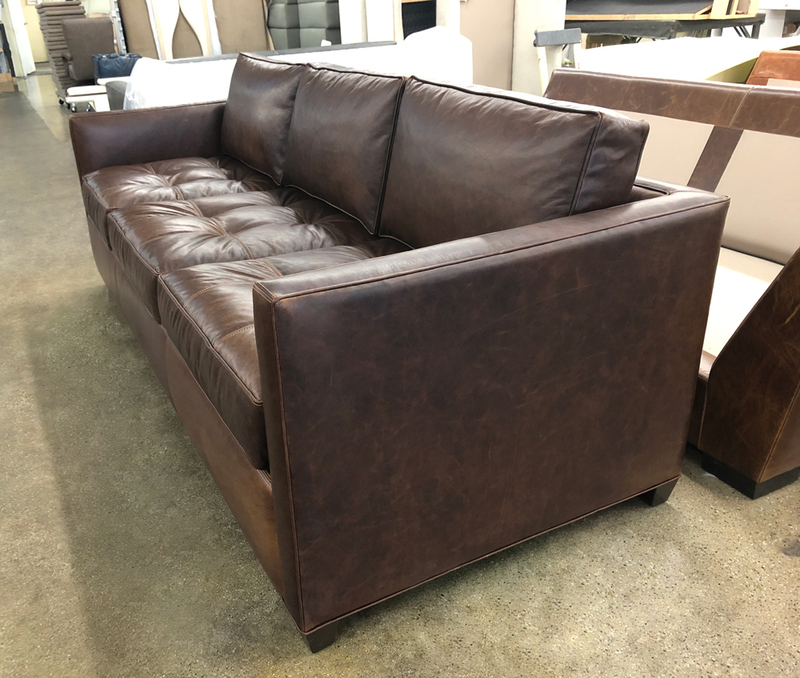 This unique leather is crafted in Northern Italy from belting leather used by some of Europe’s finest fashion houses and has an authentic worn-in aesthetic with dramatic texture and color variation. These thick hides will continue to soften and mellow with time. 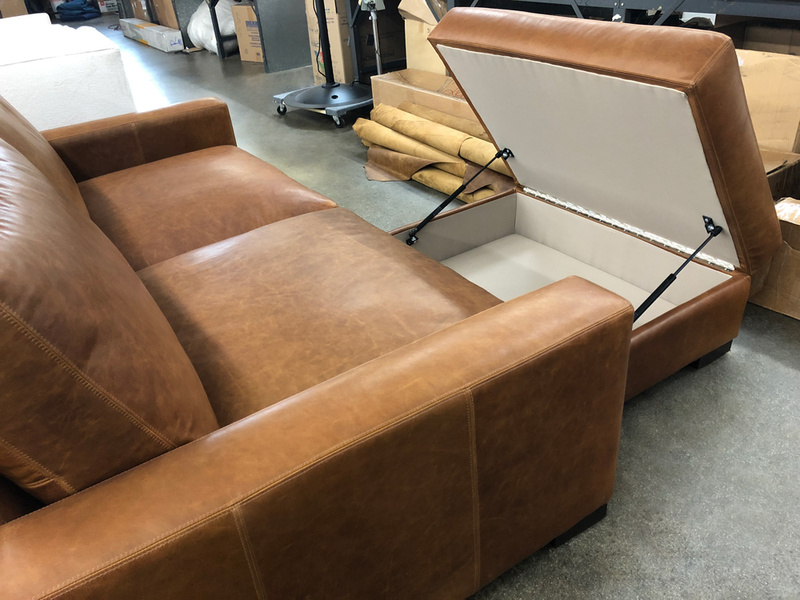 Besides selecting this amazing leather, our customer also opted to remove 20″ of length from the Left Arm Facing end of our Braxton Mini L Sectional with Chaise. 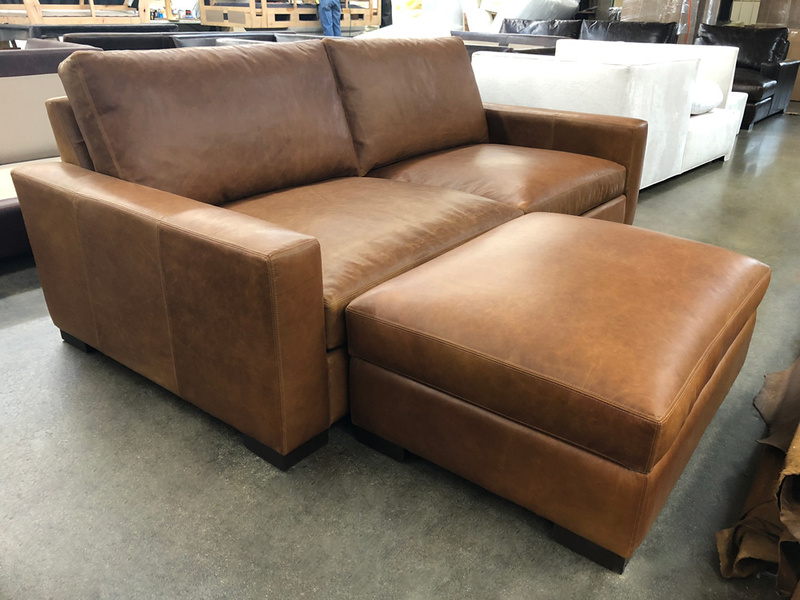 This one was built in our 46″ overall depth option which provides a very generous seat depth for the ultimate in laid back comfort. 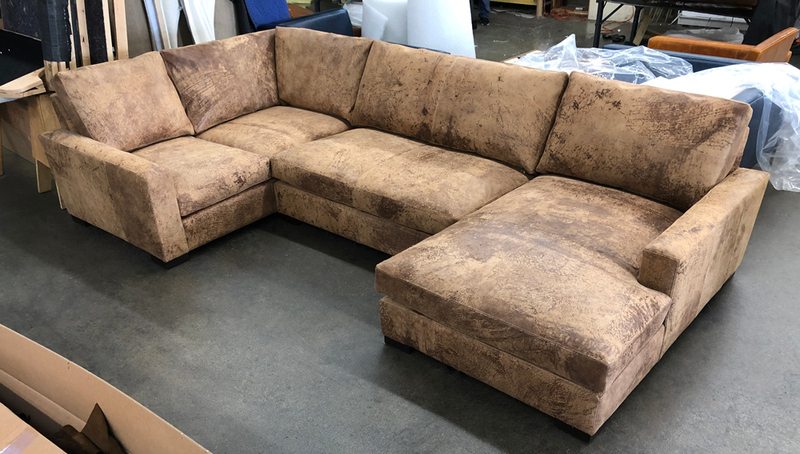 Customization is one of our strengths, and we were happy to deliver! 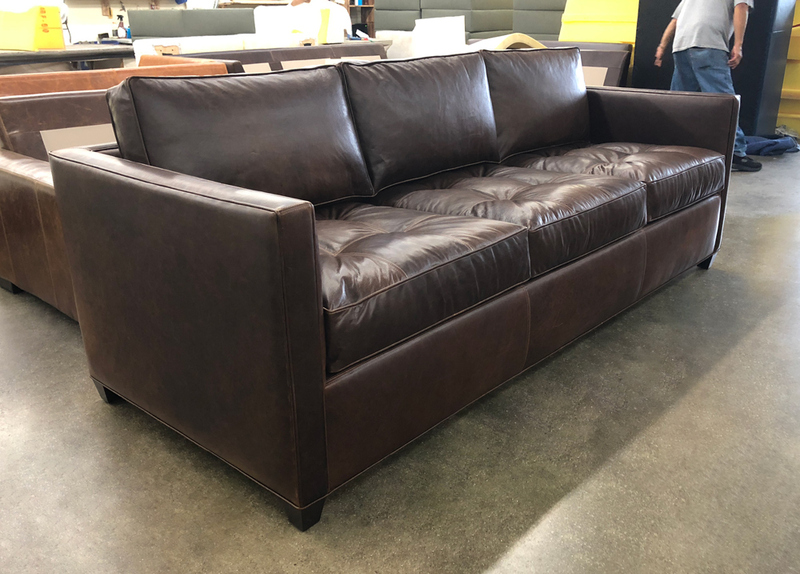 This entry was posted in Braxton, Custom Leather Order Feed and tagged 46" Deep, braxton collection, braxton l sectional with chaise, braxton leather sectional, braxton sectional, Destroyed Leather, Italian Destroyed Leather, No Ears, Ragtime Leather, Ragtime Natural on June 19, 2018 by LeatherGroups.